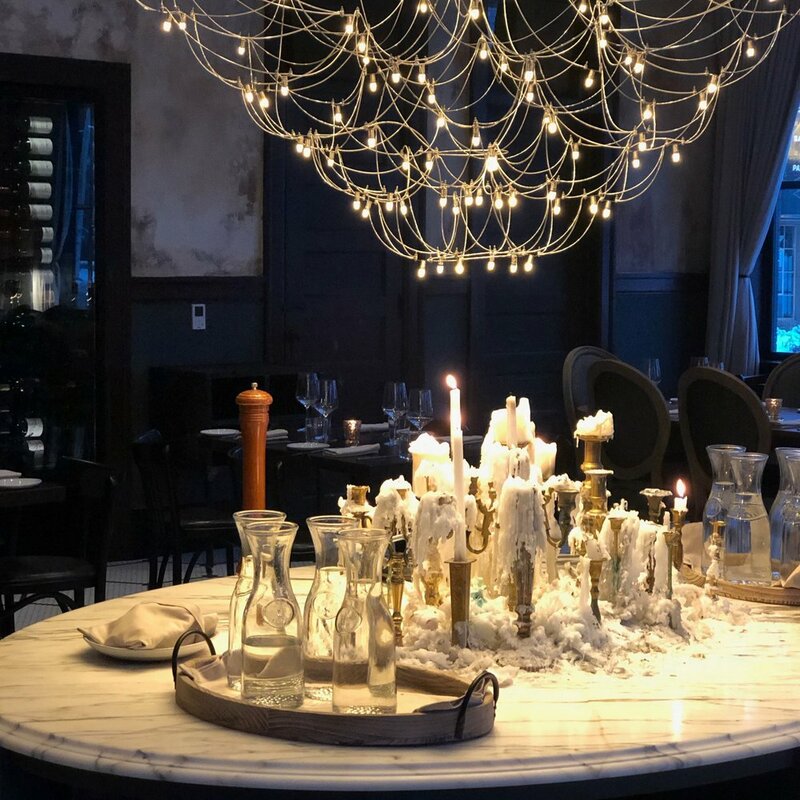 Welp, Kansas City Restaurant Week has officially wrapped up, and many chefs around the Metro created their “Perfect Menu” for guests to try. Restaurant Week is an opportunity for many people to try new places and taste dishes that they have never had before. You know, to get out of their current restaurant rut. Many people have asked me “Hey Lauren, what would your Perfect Menu look like?” As you all know, I love hosting dinners in my home and I love the “planning” that goes into each menu I create. I always try to put together courses that flow together perfectly, that have the right combination of flavors, colors and textures, and I love always leaving my guests anticipating what delicious dish is coming next. A perfectly-paired meal definitely takes a little planning, but once it is mastered your guests will be AMAZED and you will definitely look like a hero! BLOOD ORANGE…I know, the name is unfortunate…but trust me here. Blood oranges are sweet and GORGEOUSLY colored. I mean, they are the prettiest color of any fruit, EVER, in my opinion! They taste like a perfect mix between a berry and an orange. They are not available year-round (remember: I love to cook with seasonal ingredients), but–yay--they are NOW in season! The season is short, though, so get them while you can. I use blood oranges in cocktails, desserts, marmalades, etc. The options are endless, but their availability is not! For the Salad, I am making a vinaigrette with the juice of blood oranges, shallot Cervasi Olive Oil and a bit of honey. I will drizzle this mixture over the beautiful orange slices, the mixed greens and candied nuts. This light, tart, sweet and insanely fresh salad is the perfect complement to the creamy, comforting pasta that is coming next! Pasta and Sausage…yes, you heard me!! There is nothing better on a cold winter night (really, ANY night) than a big bowl of pasta that’s quick to put together. This dish is comfort food at its finest. This classic pasta (use any type of short cut Cervasi pasta that you love) is served with Italian Sausage, cheeeeeese, garlic, wine and a luscious cream sauce. I like to add some fresh spinach and toasted pine nuts for a little color and crunch. This dish will soon be a regular in your pasta rotation! 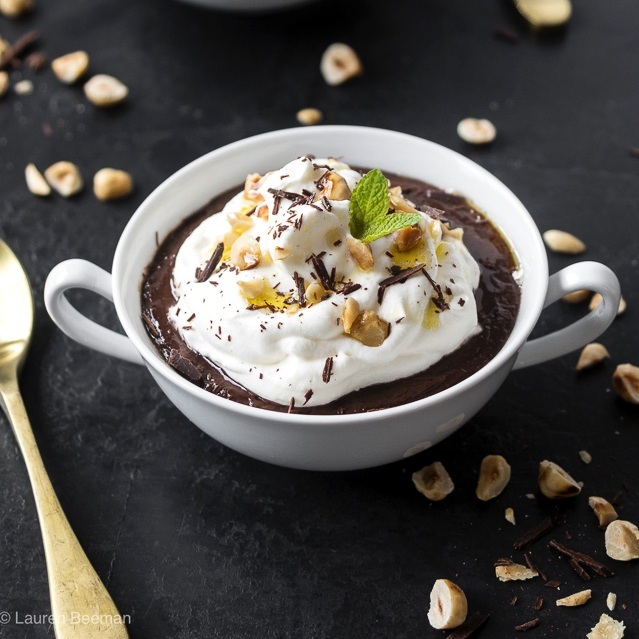 Budino literally means pudding….you know, the type that brings you back to your childhood. There is something so comforting about this sweet, creamy, rich Italian dish. Sure, pudding may seem relatively unremarkable, but a good budino tastes like well-whipped air infused with decadence. This is served in individual dishes, so sharing is NOT required- Woohoo! Best of all, this desert can be made a few days in advance if needed. And now about the olive oil…I know I know, when you think of olive oil, dessert may not be the first course that comes to mind. But, in Italy, olive oil is not uncommon at all in desserts. The right olive oil can enhance cakes, biscotti or even a gelato! So, I hope you try this wonderful dessert; it’s so unassuming, yet it always over-delivers! So, this is my Perfect Menu that (I dare say) would rival some of the top restaurants out there! Now here’s the great news, I’ll be posting each one of these recipes during the next 2 weeks with allll the tips and tricks so that you will have what you need to recreate this deliciousness! I hope you try it, and PLEASE let me know what you think! 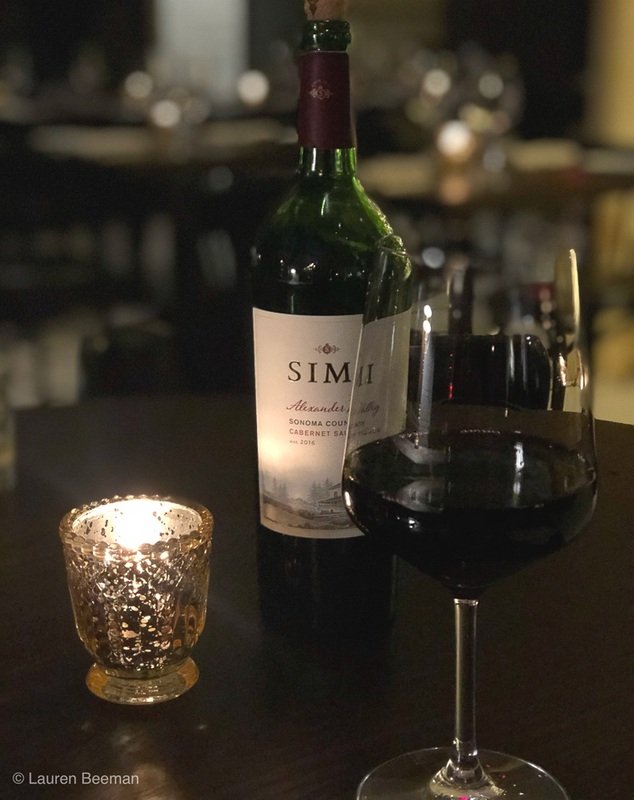 I can’t wait to hear your thoughts on this perfectly-paired Restaurant Week (and Cervasi:) inspired menu that I love, and that you will, too! This post was sponsored by Cervasi but all the ideas, recipes and typos are alll mine!